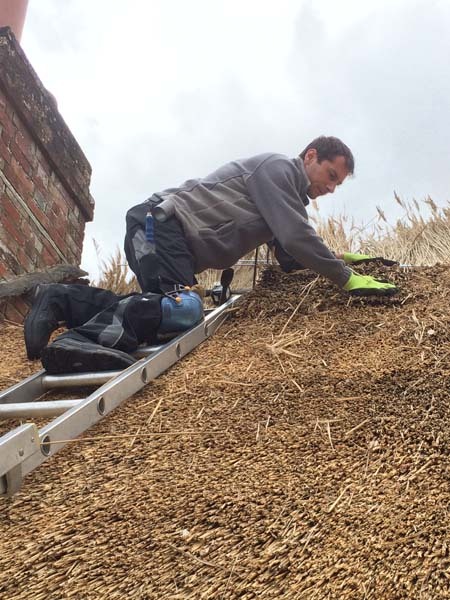 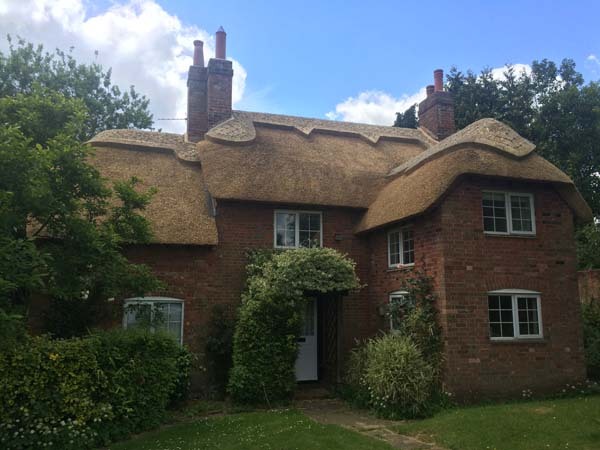 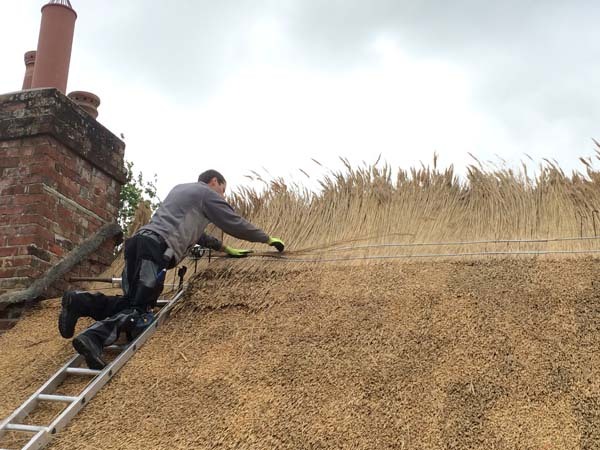 KH Thatching completed a re-thatch to the front of this property in Lyndhurst using Water Reed. 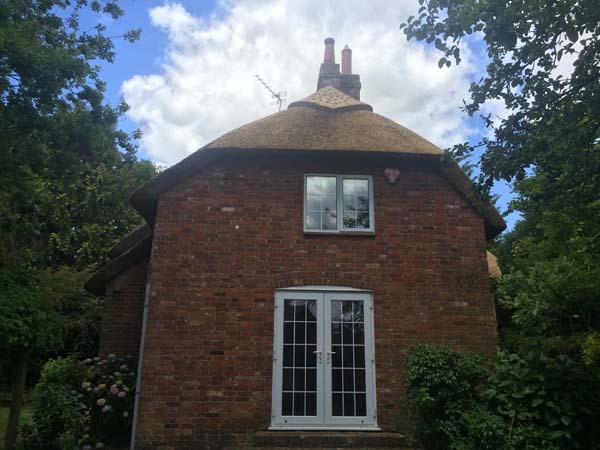 This cottage has been finished with a ornamental block ridge, cut with two large points in the middle and a large scallop under both chimneys. 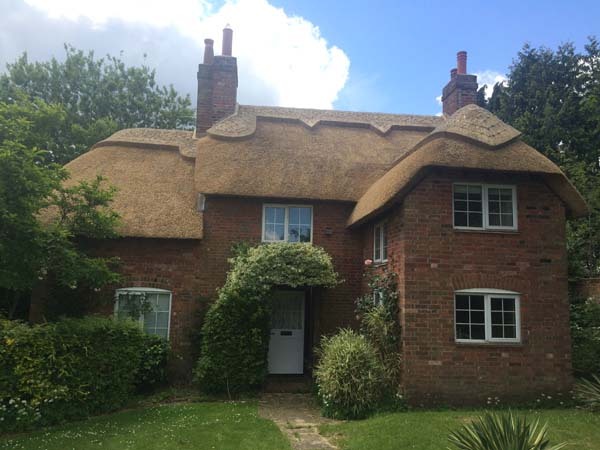 Here is a good example of how extensions can give character to a cottage.